HubSpot also recommends this free social media workbook. We’re concerned about what you’re doing, and more importantly what you’re not doing. Your lack of adoption of new channels. Your total disrespect of mobile first users. Your reluctance to try video. Your fear of spending money on social ads. Your results. We’re concerned. We bring up these concerns out of love for you and modern marketing. You see, social media marketing has changed, but most social media marketers haven’t. A modern social strategy is light-years away from the definition we used in 2012 and it’s time to adapt. Adapt to a mobile first, video obsessed audience. Adapt to new tactics that take advantage of new tools. Adapt how we measure success and what we’re trying to achieve. This isn’t a matter of making tweaks, we need to start over. We know this because it’s something our own marketing team has gone through here at HubSpot. Over the last few years we’ve had to constantly reinvent ourselves. We’ve learned the hard way so you don’t have to. Why do we need a new start? Things have changed -- and that all starts with Facebook. Flash back to 2012 with me for a moment. It was an eventful year: we were all watching Gangnam Style on our iPad 3’s, mourning the loss of Whitney Houston, and eagerly awaiting the Facebook IPO. An IPO that we were excited but unsure about. It wasn’t clear at all in 2012 that Facebook had a viable business model. Investors were concerned if they could actually monetize. After the first few months of their IPO their stock was down and the future looked grim. The fact that this was only 5 years ago Facebook seems ludicrous. Today Facebook is one of the fastest growing, most well known, most trusted, and most valuable companies in the world. Its only rivals may be Apple and Google. Facebook’s success as a business is directly related to their success in mobile. In 2012 Mobile represented only 10% of Facebook’s revenue, today it accounts for 82%. They were able to move with users from desktop to mobile and create a totally new stream of revenue that corresponded with a big shift in consumer behavior. This success has allowed Facebook to expand, given them the means to buy Instagram and WhatsApp, and spend time developing new products like Messenger. The average person globally now spends 50 minutes a day with Facebook. These new products are big bets that they hope will have the same impact on their business as their shift to mobile did for them back in 2012. Below is Facebook’s ten year road map. An astonishingly ambitious plan to create multiple new products and revenue streams, most notably around messaging, video, virtual reality, and artificial intelligence. Facebook has never been more important than now. They are innovating incredibly fast and changing the meaning of social media. It’s critical to figure out how your audience lives in Facebook (Instagram, Messenger, WhatsApp) because they are there, everyone on the planet is. Once you do figure out how you can use the tools Facebook offers to connect with them. There are five major trends that are defining this next wave of social media. One of Facebook’s most recent hits is Facebook Messenger. It’s one of a handful of new channels, along with Instagram, WhatsApp and Snapchat that’s dominating time spent on social. In 2012 Social Media was the big three: Facebook, Twitter, LinkedIn. That’s it. Your goal was to engage and grow communities on these channels via desktop. The idea was to gain enough likes and followers so that you had a reliable distribution channel for your content. Today, your audience may still be there, but there are many other places as well. Social media usage hasn’t slowed down one bit since 2012, it’s grown and diversified.
. You must know your audience and you must focus your efforts on the networks that are most relevant for them. To make this happen, the role of the social media manager / marketer needs expand. They need to understand your target market, and whatever social channel they spend time in. That probably includes Facebook, Twitter, and Linkedin, but it’s now expanded to new networks like SnapChat, Reddit, YouTube, WhatsApp, and more. They should know how those networks work and be able to create the content that does best in those channels. This means that social media marketers need to be experts in ads, creating video, stories, messaging bots, and more. Furthermore, their goal shouldn’t be to try to turn these places into a distribution channel. Instagram for instance isn’t interested in having users leave their app. They’ve made it hard for marketers to drive people from their app to a landing page without an ad. A modern social media marketing strategy doesn’t try to drive people out of these sites, they turn these sites into a conversion funnel in and of themselves. They create amazing content that brings attention and use ads and technology to convert those users in network. No landing pages, no emails. This is true for all networks now, not just Instagram. More on this later. Instagram was one of the first totally visually focused social networks, at first it was almost all pictures. Its massive success served as a spark for the rest of the industry. Quickly other social networks started leaning away from text into images, and that trend continued to evolve towards video. We all now have super computers in our pockets with strong wifi and cellular networks. This makes hosting, sharing, and serving video a fast, enjoyable experience. The result is that video has become the currency of social media. People want video. You may have noticed how much more video you’re seeing in your Facebook and LinkedIn feeds -- expect more. This may have impacted you, but for even younger audiences social has totally replaced TV. They still want to consume video and now these cord-cutters turn directly to YouTube, Instagram, and Facebook to get it. All of this has already happened. It’s not new. This means if you haven’t figured out how your company or brand can produce relevant video you must act now or risk becoming irrelevant. Producing video should be something you add to your personal repertoire, but isn’t easy, and unlike blogging a bad product can hurt your brand and image. If you can't do it yourself, get help. Lean on good freelancers or hire folks with experience to guide the way and help you build your video strategy and production arm. Video should be part of all your marketing campaigns. It can be live, pre-produced, casual, or polished. You’ll figure out what works for your audience, but you have to get started now if you haven’t already. An easy way to figure out what to create is to always ask, “What’s the video element?” about every single marketing campaign your team creates. Once you get started start reviewing the data. Focus on metrics like watch time over views, and let that be your guide to decide what’s working. You, me, and everyone else in the world have relatively cheap, extremely powerful, mobile phones in our pockets. Wifi is now everywhere, and 4G networks can be found in all corners of the globe. This has made accessing the internet and consuming content on mobile much easier. And it turns out that as long as the experience is good, people prefer using their mobile device for everything. A result of this is that social media is now almost all mobile. 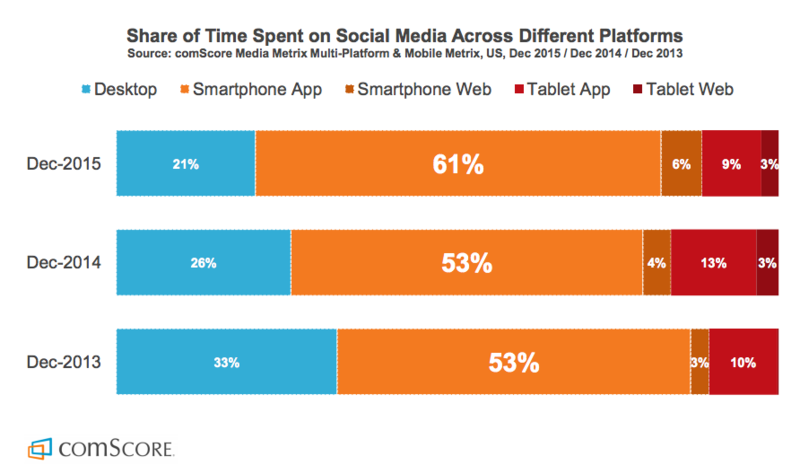 80% of social usage now comes from mobile devices. Social media is growing like crazy and almost all of it is coming from mobile first or mobile only users. That’s right: some users in some regions only access the internet from their mobile device. How are you going to reach those users? Obviously it’s important to know your own audiences trends, but the short story is your marketing should now also be mobile first. Assume that the majority of people you engage with or want to reach in social are coming from their mobile phone. For most B2B marketers this is a hard pill to swallow. The school of thought is that mobile marketing doesn’t work for B2B. That mobile users on the go aren't interested in a long white paper like someone accessing it from a desktop would be. And that forms with several fields turn off mobile users. 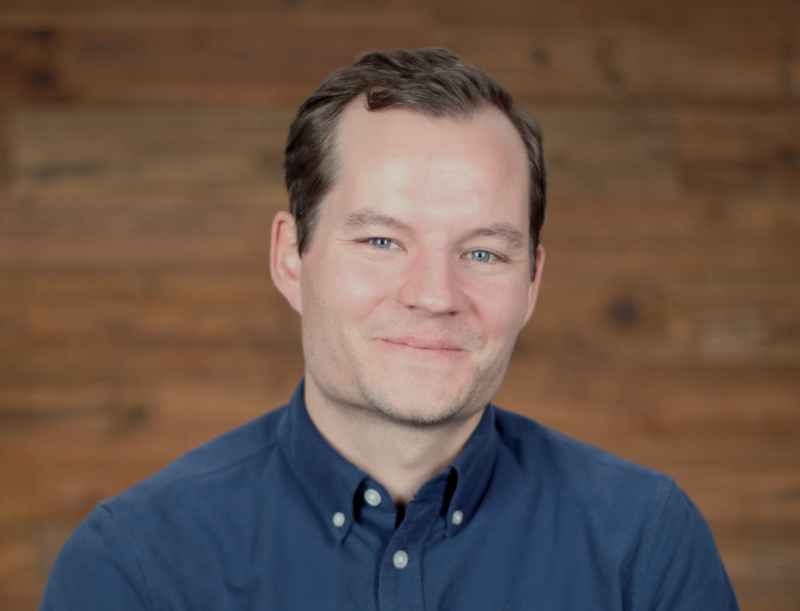 Those concerns are valid and true, but it doesn’t mean mobile marketing doesn’t work for B2B, it just means we need to change our tactics -- and Facebook is eager to help. Recently Facebook introduced Lead Ads, and they can become your mobile marketing strategy. There aren’t many shortcuts in marketing or life, but Facebook’s created a big one with Lead Ads. The ad unit brings your content to users on the Facebook mobile app and Instagram. Its format allows you to feature your lead gen content, and a strong call to action. This is all great, but the magic comes after a user clicks on the ads CTA, they are served a form that is auto populated with their information by Facebook. This dramatically increases conversion rates. We’ve seen this totally flip the script for some marketers. They are now actually getting a better cost-per lead at a higher conversion rate from their mobile campaigns vs. desktop. Step one is encouraging users to start conversations via messenger. There are lots of reasons why a customer or prospect would want to chat with you via Messenger. Maybe it’s to aid communications at an event you're hosting, or perhaps to deal with a customer service question. Whatever the reason, it’s a good idea to start doing it. Having access to people via messaging means have a direct, mobile first channel to people. In a world where people are ignoring email and spending the majority of their time on their phone in a Facebook property, this will be important. 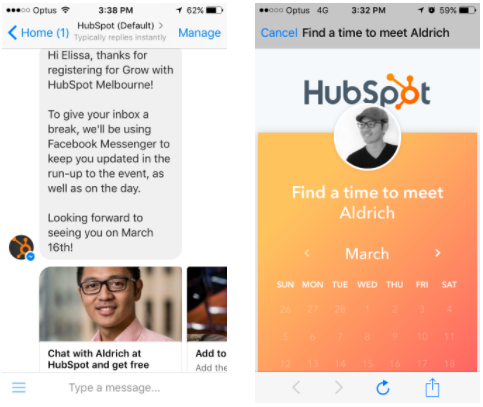 Start building a plan for how you can start messenger conversations now. That can also mean you will need a chatbot builder solution. Most people would agree that a modern social media marketing strategy has to incorporate video and mobile, but do you have to use ads? The answer now is yes. You don’t have to always be running ads or use them for every campaign. But if you can’t effectively use paid media to amplify your inbound marketing strategy, you’re going to lose to the competition. Earlier I mentioned we are now in a world where pushing people off of social to your site to convert no longer works. That means ads are your main path to conversion in social now. Before you grab your pitchfork and start chanting “pay to play is wrong” let me say this: a good social ad strategy will make you way more money than it will ever cost you, and will help you compete with much larger businesses. You also don’t need to have a massive budget to be successful. Ads can be easily scaled up and down, so when you figure out the right conversion path and reach profitability, dial things up. All of the major social networks are aggressively trying to monetize their audiences. Most of them have been for awhile. Those monetization efforts started with exciting marketing solutions for big consumer focused brands, and they work. Now Facebook and the others are looking for new audiences to build for. If you’re reading this you’re probably a B2B marketer who doesn’t work at a Fortune 500 company. That’s a great place to be if you want to start using ads. Facebook and LinkedIn both now have great lead generation solutions built for a mobile audience. This is a big opportunity -- and one you don’t want to miss out on. It’s important to build a strong social media advertising muscle now. Ads don’t have to be part of every campaign, but you should always consider it. When you do decide to use ads, use them in conjunction with inbound. An ad that is only an ad is boring and disruptive. But an ad powered by great content that is part of a well targeted inbound campaign is something your audience will welcome. Machine learning and artificial intelligence are ideas that marketers are chomping at the bit to put to work. But the question that hasn’t been answered is how? Social Media and Social Ads are the answer. No other marketing channel has grasped AI like social. It defines what content you see, what ads you're served, and how you engage with your friends. In many ways AI defines social, and it’s important to keep this in mind when creating content. There is no more optimizing for time of day or keywords in social, everything is defined by a machine learning algorithm specific to individuals. When you're thinking about content try to think like the machines. Facebook and others have now made the same AI that powers what content is shown to whom, available to better target your ads. When you run Facebook ads for instance, you have a powerful tool set of AI at your fingertips, even if they don’t make that obvious. Leaning on Facebook to target and optimize your ads is a very good idea. Upload lists of your most valuable customers or highest priority prospect to Facebook and then implement Lookalike Audiences. With this data Facebook will put its AI to work by combining with their global user data to serve your ads to only the most valuable people. At HubSpot our own ads experts used to manually test and optimize combinations of creative and targeting to get the best results. But over the course of 2017 simply decided to stop. They couldn’t beat Facebook’s AI. We've decided at this point it’s just best to get out of your own way and let Facebook do its thing. Look, things are different. Facebook has changed the world, mobile and video are here to stay, ads are they way forward, and it’s time to leverage AI. But for all the change that has happened, inbound is still the way forward. The best marketing will always be remarkable and focused on attracting people with the quality of its substance. And for all the advanced technology we have, the best marketing will still always be about people and personal connections. No technology can replace the feeling someone gets when they feel like you’re talking only to them. It’s important to root everything you do in those concepts. It’s time to grasp these new concepts, tools, and tactics. If you can combine them with the fundamentals of inbound marketing, there is no stopping you.